Originally from Canada from the provinces of Newfoundland and Labrador, labs have found their ways into the hearts and homes of countless pet owners across the United States and the UK. 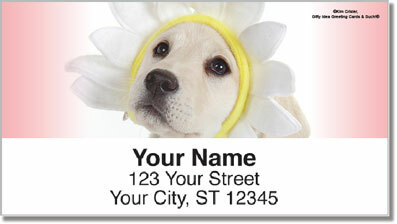 When you look at these cute pictures of these puppies, dressed up in flower ware, it's not hard to see why. They're adorable, for starters, and with such a gentle demeanor and family-friendly nature, they're easy to connect with. 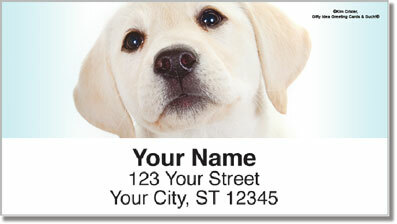 You can't take your lab everywhere, but you can use these address labels every time you mail. 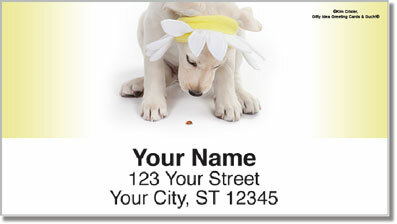 You'll be reminded of your puppy at home every time you send out invites, graduation cards, and anything else you might need. 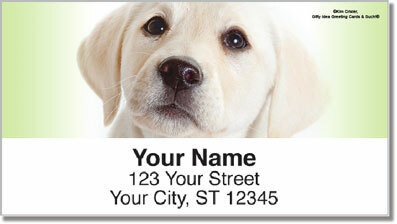 Celebrate the puppies and the wonderful animals that bring so much joy into the lives of many. Order today and get shipping totally free.